Providing a reliable and honestly priced 24-7 mobile auto locksmith service right across Perth, from the Perth CBD to Joondalup, Balcatta and Osborne Park down to Rockingham, Beaconsfield and Fremantle, Silverfern Locksmiths are the team to call whenever you find yourself locked out of your car. We manage all aspects of automotive locksmithing, from unlocking your car if you’re unable to get inside to cutting keys and programming a new transponder into your car’s immobiliser system directly through its OBD. Whatever the key or transponder related issue you’re experiencing and wherever you’re located in Perth and the surrounding areas, we’re here for you 24 hours a day, 7 days a week, so don’t hesitate to call us whenever you need expert assistance from a car locksmith. 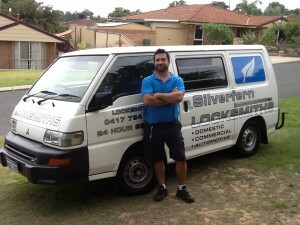 Why Call a Perth Auto Locksmith? When you find yourself locked out of your car and unable to get inside, attempting to gain access yourself puts your vehicle at risk of damage, including broken windows, scratched doors, damaged mechanisms and transponder keys, torn upholstery and so much more. By attempting to unlock your car without professional equipment and knowhow, you’re not saving yourself time or money as you’re actually far more likely to waste your time and increase the cost of getting into your car. As you can have an experienced auto locksmith at your Perth location quickly and at any time of the day or night when you take advantage of our mobile locksmith service, there’s absolutely no need for you to risk damaging your car. Whatever the issue, we’ll have you back on the road in no time. And those are just a few of the services we provide for most makes and models including Holden, Ford, Volkswagen, Toyota, Suzuki, Honda, Skoda, Audi, Mitsubishi, Mazda, Subaru, Nissan, Daewoo, Hyundai, Kia, Jeep, Dodge, Renault, Daihatsu, Chrysler, Peugeot, Jaguar, Range Rover, Land Rover, Lexus and Citroen. If you require a new key cut or programmed we will require the make, model and year of your vehicle and in some cases we will also need the VIN (Vehicle Identification Number). We’re a family owned and operated business with more than 20 years’ industry experience and the desire to be the leading provider of automotive, commercial and domestic locksmith services in Perth and the surrounding areas. Whenever you need specialist assistance with a vehicle key or transponder related issue, whether you’ve lost your keys, locked them inside your car or damaged the transponder, we can dispatch a mobile automotive locksmith to your Perth location in a matter of minutes. Don’t risk damaging your car attempting to gain entry, call Silverfern Locksmiths on 0417 734 773. Here at Silverfern Locksmiths we not only offer mobile Locksmith services but we also have 24 Hour Emergency Service in place – so you are coverd 24/7… Anywhere…Anytime! Contact us here or simply call 0417 734 773.